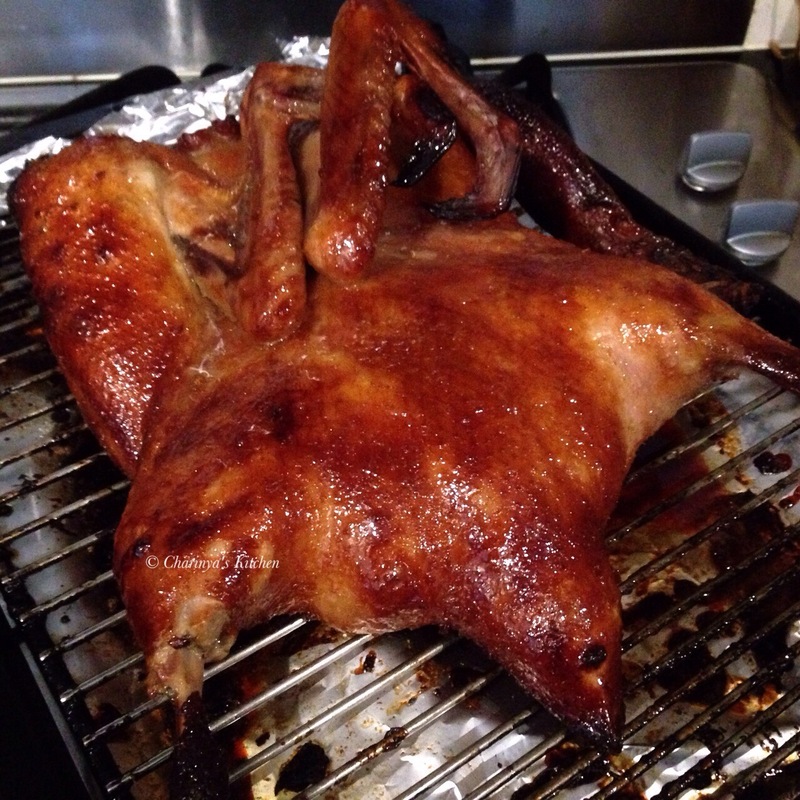 Every time I go to a Chinese BBQ restaurant the roasted duck with rice is always my first choice. This was the very first time I made it myself. If you want to try cooking it here is the recipe. 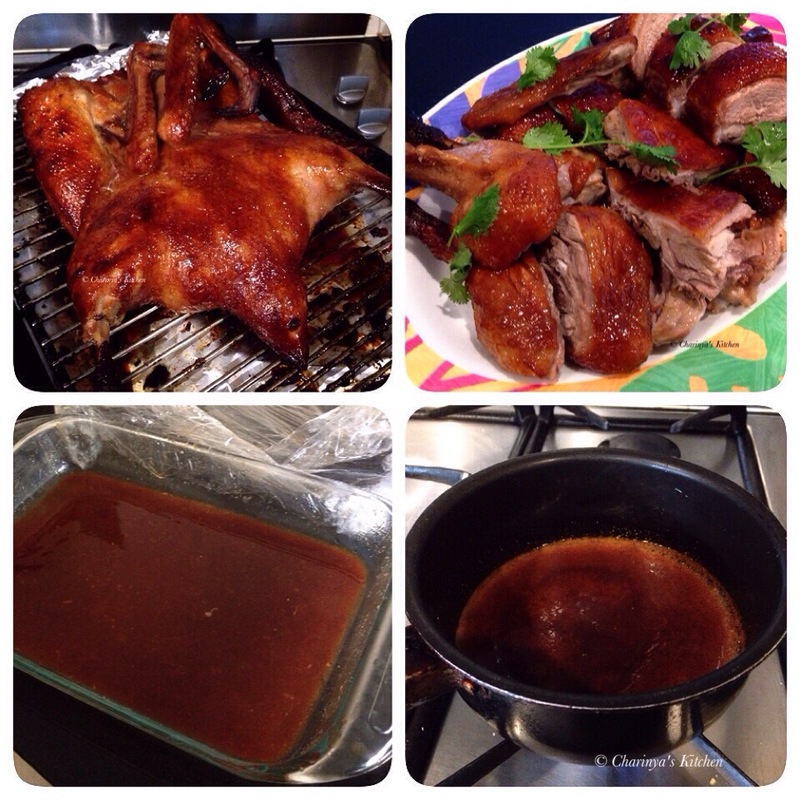 • Combine all ingredients, including duck, in a big, deep tray to marinate overnight. 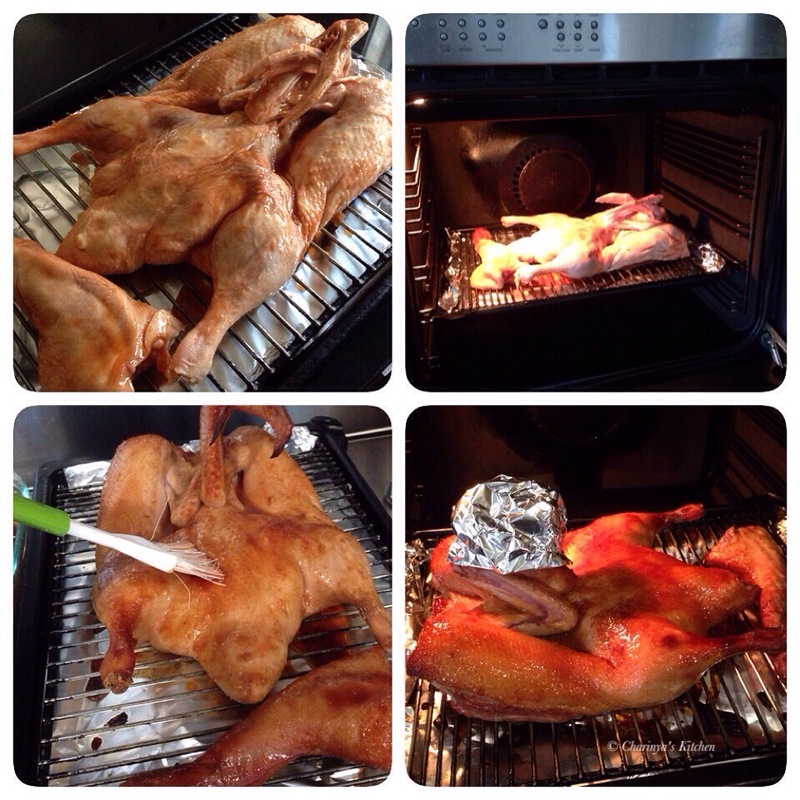 • The next day roast the duck in the oven on a very low heat for 1.5-2 hr. 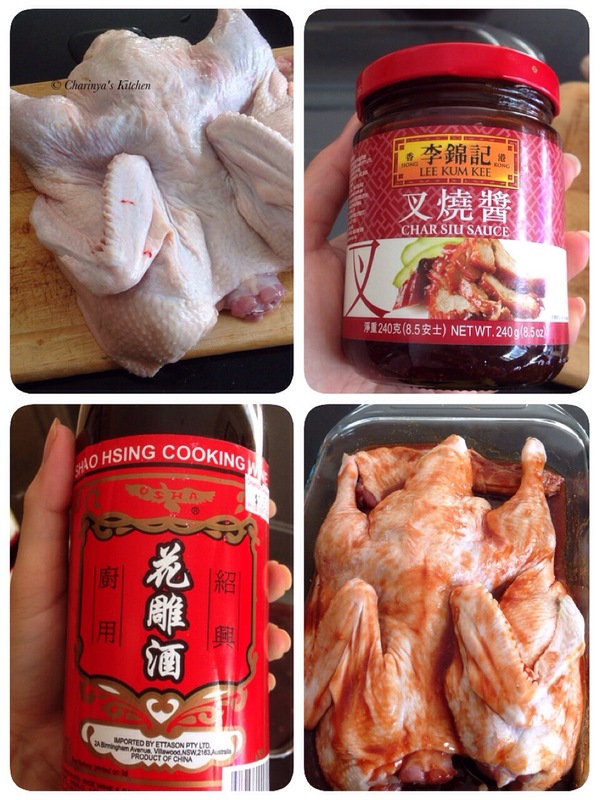 Use the marinade to brush the duck every 1/2 hr. I set the temperature at 150c• and roasted it for 1 hour 45 min. 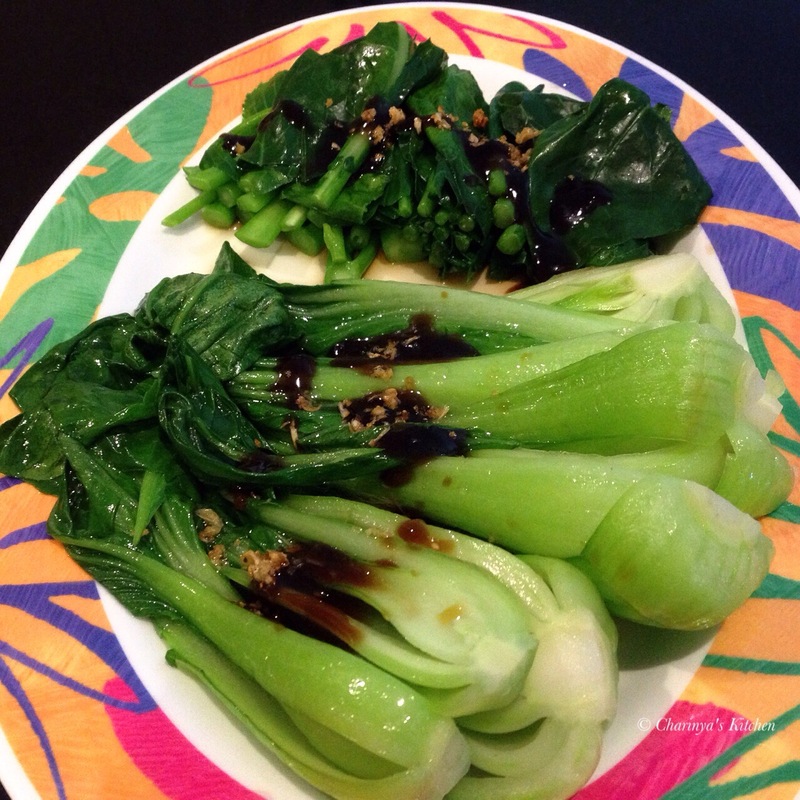 • Bring the remaining marinade to the boil and serve as a side sauce. 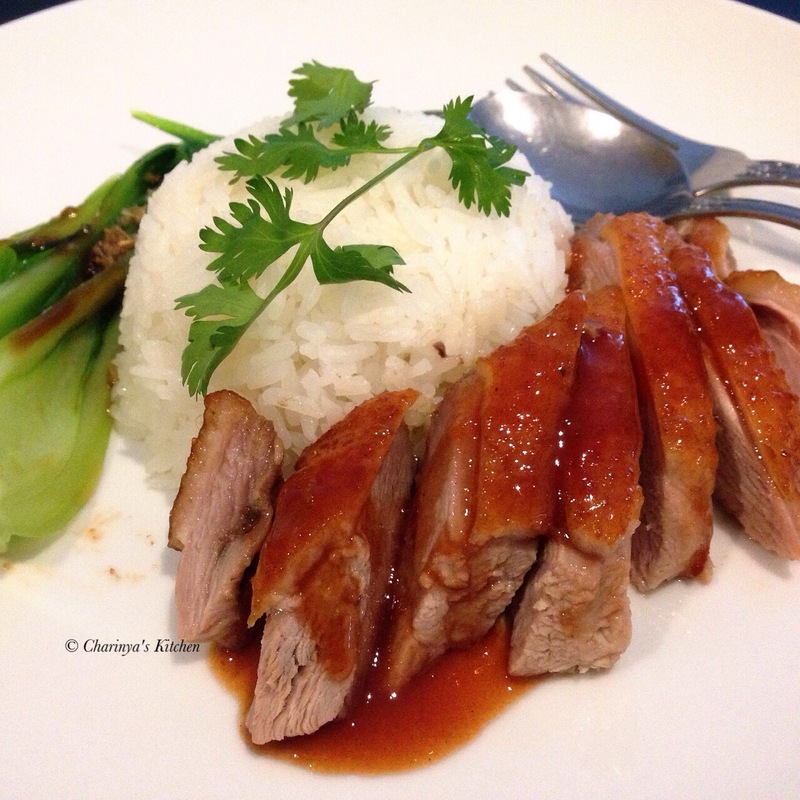 Serve the duck with rice and steamed vegetables.